Germany’s biggest electronics retailer, MediaMarktSaturn, was late to e-commerce and is now determined to be an early adopter of technologies such as artificial intelligence (AI)-powered robots, augmented reality (AR) and virtual reality (VR). Beauty giant Coty is using AI in a number of ways to break down the barriers to selling fragrance and cosmetics products online. It is becoming increasingly important for brands and retailers to work closely with their suppliers to deliver faster speed to market and to source effectively. Local manufacturing is becoming more of a reality thanks to robotics, 3D modelers and automation. This week, the Coresight Research team is attending the Tech. 2018 conference in London. Here, we feature our top takeaways from day one of the event. Martin Wild, Chief Innovation Officer at Germany’s biggest electronics retailer, MediaMarktSaturn, kicked off the event by outlining how his company is bringing in new technology, particularly robotics, to adapt to shoppers’ changing habits. Wild noted that MediaMarktSaturn had been late to e-commerce, launching its online stores only in 2011. The company now wants to be among the first to bring new technologies such as AI, AR and VR to retail. MediaMarktSaturn has introduced an AI-powered robot named Paul in stores to give shoppers advice and information. It is also using robots with visual-recognition abilities to locate inventory in stores. In addition, the company has launched an AR assistant named Paula, which offers shoppers an enhanced “holotour” of a store when they put on a HoloLens headset. The company has also launched its first VR shopping experience: the experience does not replicate a MediaMarktSaturn store, but shows the company’s electronics products in a virtual apartment. Beauty giant Coty is turning to AI to square demand for the convenience of online shopping with consumers’ need to ensure that they will like particular fragrances and beauty products before they buy them. For prestige fragrances, Coty launched an AI-powered Fragrance Finder on the website of major UK health and beauty retailer Boots. It uses a seven-stage questionnaire to recommend fragrance products. Coty’s chatbot offers a more conversational means of discussing fragrance preferences with consumers before they buy. The chatbot’s recommendations improve with each use, as the volume of data it aggregates grows. In the mass market, Coty is helping shoppers choose color cosmetics with an online Try-On Tool. Users can see what various makeup products would look like on them and are given five different looks that they can click through before buying. A Virtual Makeup Artist is the next evolution of Coty’s online recommendations. It uses facial-scanning technology to make personalized recommendations. Dhruv Kumar, Chief Technology Officer at beauty retailer Charlotte Tilbury, noted the ease with which beauty microbrands can now reach shoppers. Kumar said that just five years ago, smaller beauty brands faced major barriers to entry when selling online, as moving into e-commerce was expensive and time consuming. Now, APIs (applications) and other technologies make it “unbelievably easy” for brands in the $10–$15 million sales range to offer a compelling direct-to-consumer experience that rivals those of their biggest competitors, he said. In a separate panel discussion, Joël Palix, CEO of beauty retailer FeelUnique, pointed to a step-change in beauty e-commerce and argued that it will be the next major category to head online rapidly. Palix noted that beauty brands are becoming more willing to supply to Internet retailers and online shops offering richer content, including video. He also remarked that beauty retailing has been somewhat fragmented, which has hindered the development of beauty e-commerce. The consensus from day one of the conference was that, in beauty, the barriers that have previously held back online sales are quickly being dismantled. As disruptive pressures from e-commerce intensify, smaller order quantities and shorter lead times are starting to become the norm for the apparel industry and its supply chain. So, it is increasingly important for brands and retailers to work closely with their suppliers to deliver faster speed to market and effective sourcing, according to Angela Gaskell, Director of Sourcing at UK-based plus-size fashion retailer N Brown Group. “As a retailer or brand, understanding your consumer and building trust and working in partnership with suppliers are steps in the right direction,” said Gaskell. In a true partnership, the supplier works together with the brand and/or retailer and has a better understanding of lead times and processes. “It’s two businesses working together. We’re going to drive more profitability and we’re going to come back for more. But unless you understand your supply base, the product that you’re making, you cannot have agility within your supply chain,” Gaskell added. 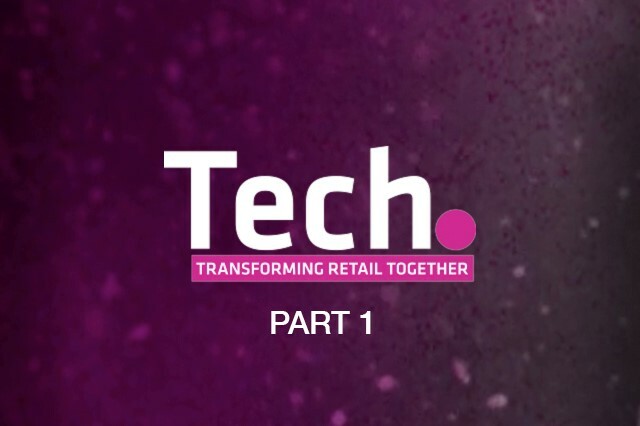 The retail industry is a globally connected network of manufacturers, suppliers, brands, retailers and consumers, all interacting in both physical and digital channels. This makes blockchain an ideal tool for the retail industry, according to Antony Welfare, Innovation Strategy Director at Oracle and APPG Blockchain Retail advisor to the UK government. Welfare noted five key benefits of using blockchain technology: trust, transparency, security, quality/certainty and reduced costs. He said that a public ledger of physical inventory could be an alternative to Amazon’s warehouses, for example. A complex retailer with different entities in different countries could see real-time transactions and make more immediate decisions. Global investment in blockchain is gaining considerable momentum; it reached $945 million in 2017 and more than $1 billion in 2018 as of September. According to Welfare, blockchain helps retail companies solve complex processes and improve data quality and timeliness. 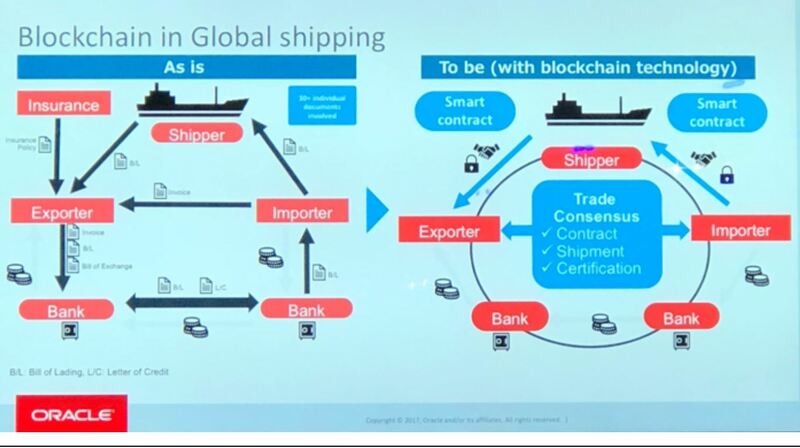 He cited global shipping as an example, noting that the process often involves several middlemen, insurers and affiliates generating more than 30 individual documents for shipment or containers. Blockchain enables the parties to develop and agree to a set of rules for bringing together information and transactions in one place, so all details and records can be shared by all parties in real time. Brands and manufacturers must be flexible and agile to cope with the demands of a digitalizing industry. Jenny Holloway, CEO of social enterprise Fashion Enter, discussed how the production cycle within retail has shifted from a typical lead time of 18 months to as short as four weeks. Fashion used to be supply-led, but it has shifted to a demand-led industry, where consumers dictate what they want, Holloway said. Fashion retailers and brands need to embrace new production strategies and technologies that offer operational advantages, including increased speed, flexibility and transparency, in order to shorten lead times and provide on-trend products. Holloway explained that London-based Fashion Enter has a factory that employs more than 100 people, who produce 10,000 garments a week for global companies such as ASOS and Tesco. The factory uses the Galaxius digital system to provide shorter lead times and allow retail clients to see exactly what garment is being made and where, enabling absolute transparency for retailers and consumers. Local manufacturing is becoming more common, thanks to robotics, 3D modelers and automation. Local sourcing allows retailers and brands to be more responsive to actual shopper buying behavior, as product lines can be adapted and modified in-season and stock can be delivered while consumers still want it. Product Guru, a product discovery platform allowing suppliers of products across all FMCG, home, gift and travel categories to showcase their products to retail buyers. Polymatica, which offers a GPU-accelerated business intelligence platform and consulting services to enable organizations to analyze operational data, including customer data. Vyking, which offers e-commerce and retail companies try-on technology with high-end 3D graphics. Retviews, which offers a platform that enables retailers to perform competitive analysis in real time, including analysis of competitors’ prices, discounts and assortments. Seloy Live, which offers in-store technology such as interactive mirrors and augmented, interactive windows that enable retailers to deliver a more engaging and interactive experience to shoppers visiting physical stores. The overall winner from a number of Discovery pitching stages will be announced at the end of the two-day conference.